If you are tired of not being able to find things in your drawers or sorting through a lot of items, it might be time to find new ways to organize all your beloved possessions. The following are a few ways to organize your drawers. Store T-shirts vertically. Use the Marie Kondo method to fold T-shirts. This is a great way to see each shirt instead of having to shuffle through and unfold tops in your drawers. Use ice cube trays to store jewelry. Ice cube trays come with a lot of dividers and white trays are especially nice for showing off each piece of jewelry. Label your drawers. Labels can be very pretty and help you know what goes in each drawer. Use jewelry organizers to store scarves. Roll up scarves and place in each clear partition. This will make finding scarves so much easier. Clear out possessions. Sometimes you just need to make more space. Go through each item in your drawers and think about when was the last time you used it. If it has been over a year and you have no strong attachment to it, throw it out or let it become someone else's treasured find. Purchase drawer dividers. There are so many beautiful and functional drawer dividers made of wood, plastic, and many other materials. It's a great way to organize clothes, utensils, jewelry, and many other items. Line drawers with nonskid material. This will help keep pens, scissors, and other office supplies from moving around every time you open the drawer. Add pretty lining to the bottom of a drawer. 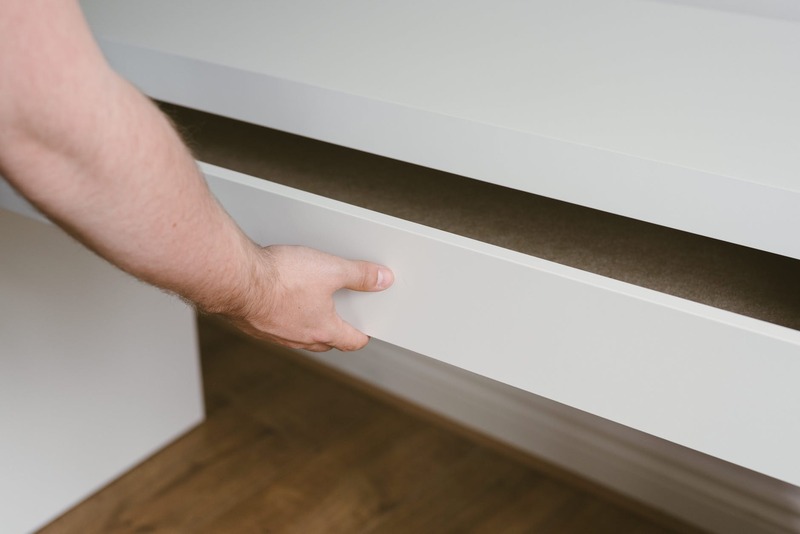 When you have a beautiful lining, you will want to see it more often each time you open the drawer, so you might be more motivated to stay organized. Make one drawer just for cooking. Make sure it is as close to the range as possible and put all pots and pans in it, stacked together. At the Belden-Stratford Apartments in Chicago, IL, you can organize your own life. Dry cleaning and on-site restaurants are just some of the many ways we help you stay organized and focused on your goals. Contact us today to find out more about our luxury amenities.